Adidas can never be seen as anything other than the leader in the lightweight race. 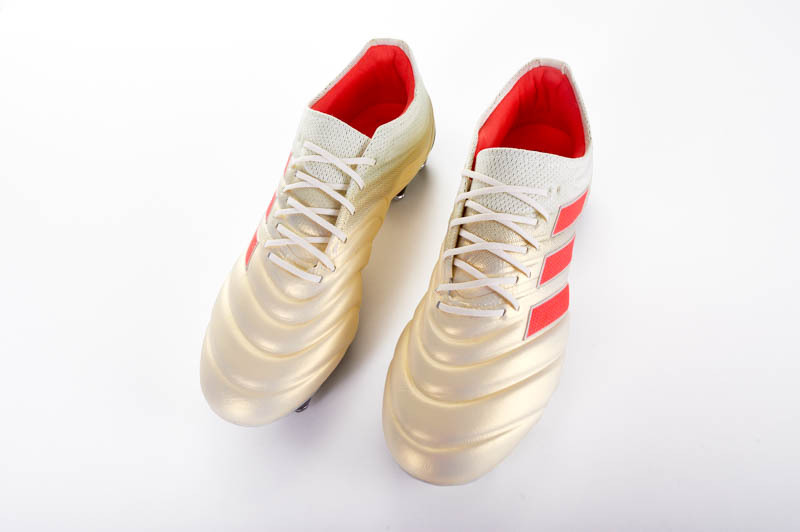 While others have staked claims, it was the F50 adiZero that first brought extremely light boots into standard production. 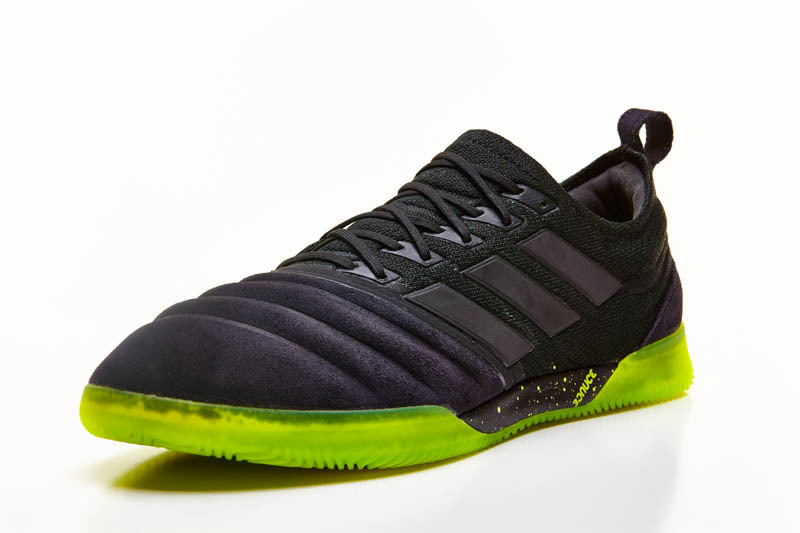 Adidas soccer shoes have pushed the bounds of light even further with the F50 adiZero Prime, and 5.3 oz seemed, for a time, to be as light as we would see. However, just as soon as it appeared boots were slowly walking away from breaking barriers, the race to sub-100 grams began. Adidas didn’t let others strike the first blow, as the crown was theirs to claim. The 99gram adiZero reignited the imagination of the lightweight race. Now, all brands find themselves reinserting themselves into the sub-6 ounce world. 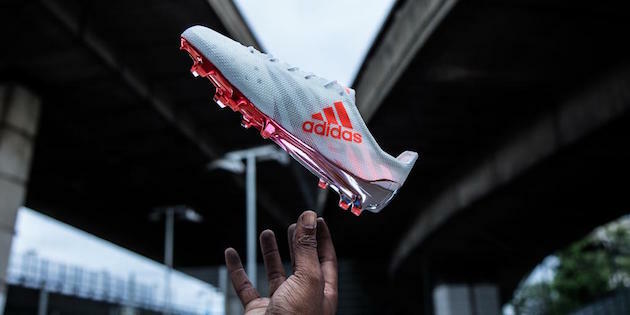 However, adidas never likes to find themselves falling behind. With Puma releasing the PUMA SL and SL II at 103 grams and released in mass quantities, adidas wanted to remind everyone who the king of lightweight is, and was. 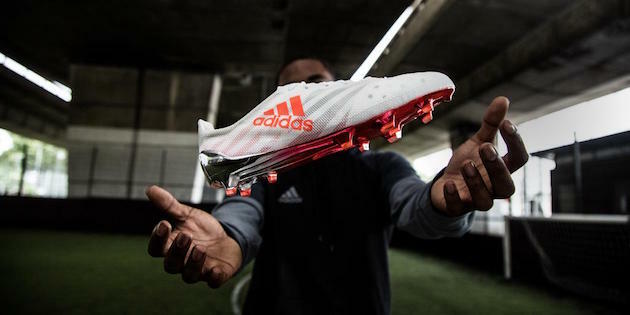 The Speed of Light collection has provided them with the perfect opportunity to reintroduce the 99 gram adiZero. Crafted in a similar colorway to the original, some slight changes have been made to the newest version. A predominantly white upper, bright orange adidas logos are the only thing to take away from the canvas of white. To hit the 99 gram weight, you can see through entire sections of the upper from how thin it has been made. The soleplate takes some of the chrome leanings we’ve seen from adidas recently, and the chrome fades to a orange/red in the forefoot of the plate. The insole has one of our favorite touches, with the speed of light (299,792,458 meters per second) actually listed on the insole of the right insole and “Speed of Light” on the left insole. 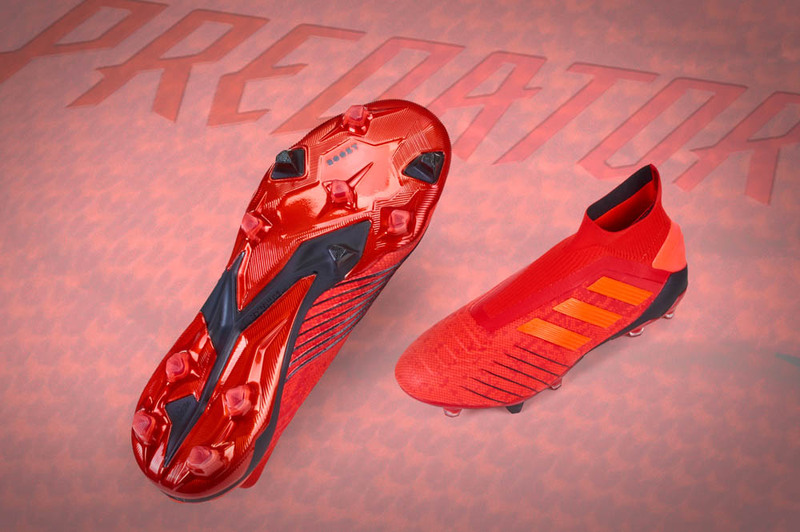 Despite all the updates and changes, adidas has decided to stick with the miCoach cavity on the bottom of the boots. An odd choice, but it is definitely more of a cosmetic addition. 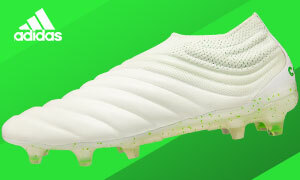 Adidas is only going to be releasing 299 pairs of the boots, so make sure you snap them up quickly. It might boast the speed of light on the insole, but we’re fairly certain that the speed they sell at will be just about as fast. Sadly, the boots will only be released in a 8.5 UK/ size 9 US…so, either they’ll float off the mantle or make a few lucky people move like lightning. Be fast. Or get left behind. Adidas knows…do you?